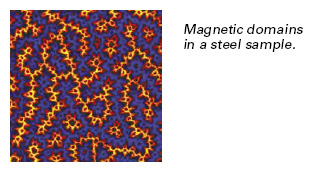 Magnetic Force Microscopy (MFM) uses a combination of TappingMode™, LiftMode™ and a properly prepared tip to gather information about the magnetic ﬁeld above a sample. 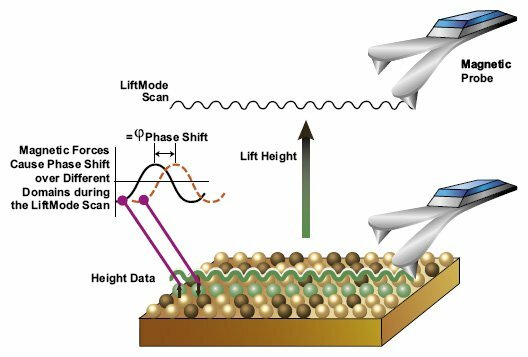 Each line of the sample is ﬁrst scanned in TappingMode operation to obtain the sample topography. The topographic information is stored and retraced with a user selectable height offset in LiftMode, during which the magnetic data are collected. Typical lift heights in MFM range from 20-100 nm.